Earlier today Ron Francis fired the bulk of his coaching staff. Out the door with the novice head coach is long-time NHL head and assistant coach Dave Lewis. The Dave Lewis drafted by the Islanders in 1973, and was on many peoples’ short-lists to helm the Isles at various points over the last seven years. The same Lewis who was a Red Wings assistant under Scotty Bowman (three Stanley Cups), and later Detroit head coach. Though not with the greatest success, the same Dave Lewis who was head coach of the Boston Bruins and assistant with the LA Kings. Fun fact, he was the head coach of the Ukrainian national team. 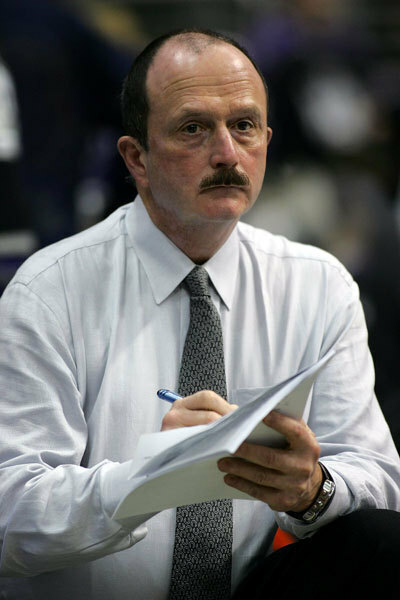 Short end of the stick is that all his HEAD coaching experience comes out to 131-82-21-12 (or, 131-82-33 by today’s accounting), two Central Division titles and no second round appearances. Chalk some of that up to his GMs (save Detroit). Why does that mean he’d be a fit on Long Island? Being a former Islander is nice, just not really anything. On the surface, a 1000-game playing and 26 years in various coaching capacities should give credence to any system Capuano puts into place. Conversely, he’s seen everything, tried everything, and can be the sage voice a still green NHL coach needs next to him in case Plans A-F don’t work. Even if he’s expensive for an assistant coach, he lends credibility to a bench that has been perceived as in over their heads. A Ken Holland/Scotty Bowman guy is worth a shot. This entry was posted in Coaches, Garth Snow, Islanders and tagged Boston bruins, coaches, dave lewis, Detroit red wings, islanders, isles, new york islanders, nhl. Bookmark the permalink.